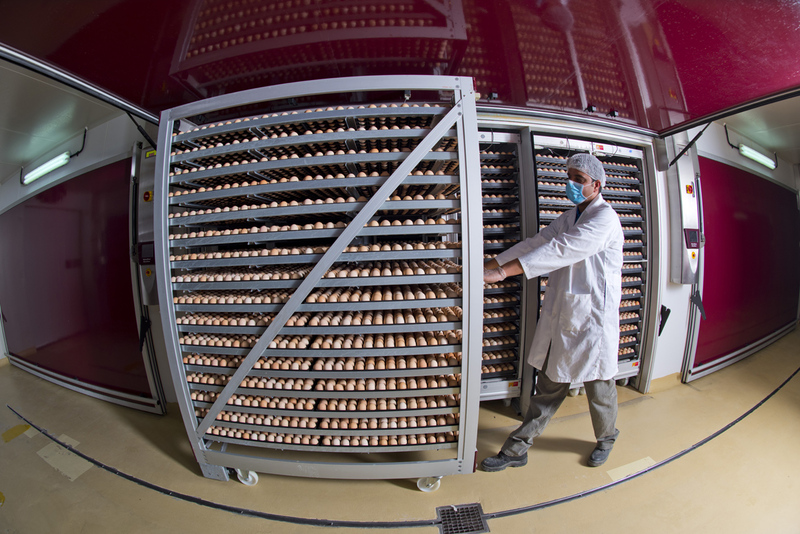 At Al Ajban Poultry, our eggs are incubated and hatched in a sanitized environment at one of our hatcheries. Our farms are located in Kasr Al Ajban, Abu Dhabi; here, we takes special care of each chick to ensure its successful growth. Our agriculture engineers work to ensure the best conditions for our flock. We have also created a fully automated vaccination and biosecurity system to promote optimal health. Al Ajban Chicken has strict separation among farms, which helps to prevent disease and successfully keeps our flock safe from infection. 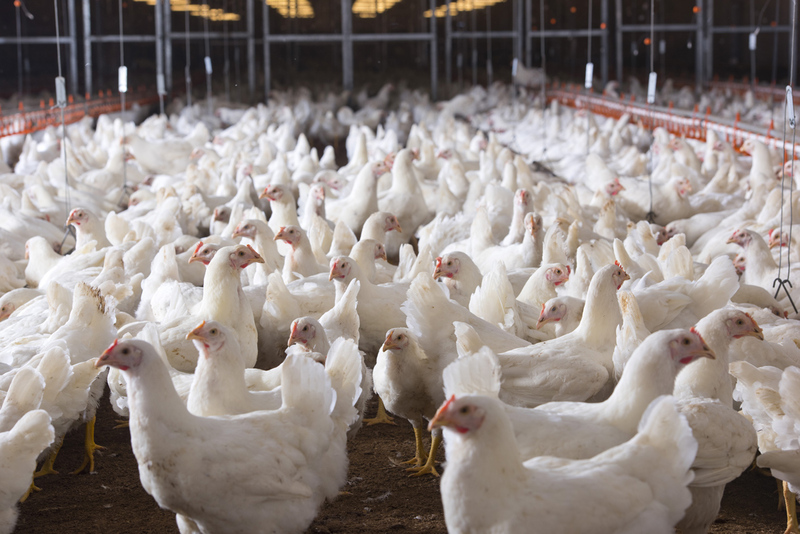 At our broiler farms, chickens are raised exclusively for meat production. We also raise the parent stock, which produced fertilized eggs that are used for chicken meat production. 100 percent natural feed is produced and distributed under the most technologically advanced procedures; no chemicals, antibiotics, or other medicines are used. We manufacture our feed using a corn-soya bean mixture with other grains. Our processing and production plant is located in Kars Al Ajban, Abu Dhabi, UAE. Al Ajban Poultry respects local culture, expectations and communities. 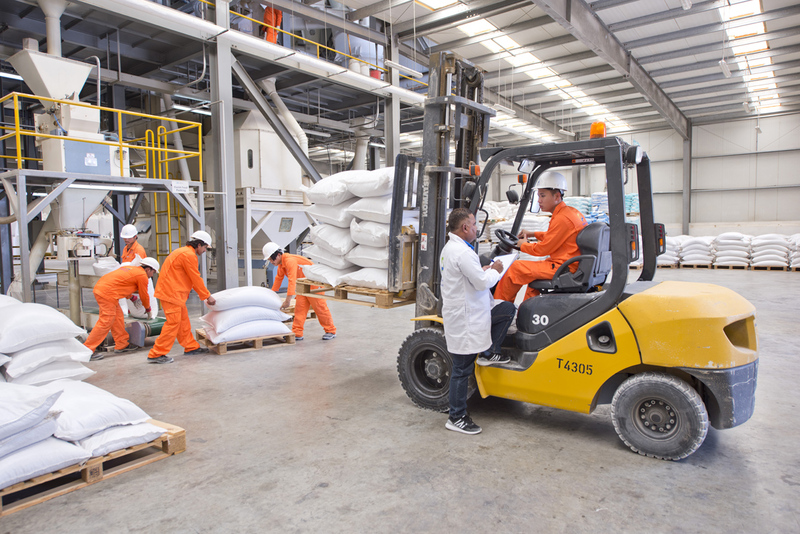 This is why our plant is regularly inspected by the Abu Dhabi Food Control Authority (ADFCA) to ensure that our products meet food safety and Halal processing standards. To provide you with the best products, Al Ajban Chicken's processing department was established as a dedicated, stand-alone unit. Because of this unwavering dedication to quality, we became the first poultry company in the UAE to have a Halal, HACCP & ISO 22000 certified processing plant. Our products are also inspected by the Abu Dhabi Food Control Authority (ADFCA) to ensure that they meet food safety and Halal processing standards. 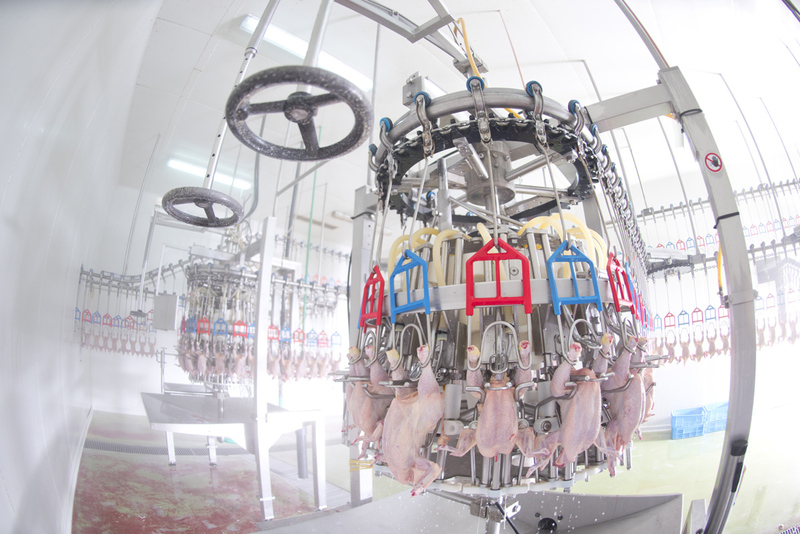 The plant is equipped with the latest machinery for processing and further processing chicken meat with the assistance of fully automated technology. Every step of primary chicken processing is clear and partial to the Halal concept which is keenly monitored by our Quality & Production Manager. As the largest poultry production company in UAE, we serve customers in all UAE territories. They serve fresh, frozen, marinated poultry, hatching eggs and day old chicks. Our stringent processes make sure our vans are cleaned and disinfected daily and that the temperature is monitored by both the driver and the quality department. We also conduct random product testing to guarantee our products maintain their high quality during distribution. Our products are delivered directly from processing plant, packed, and served to our clients. To protect your health and safety, we do routinely clean and disinfect to our equipments and provide clean and protective clothing for all personnel. We only allow authorized personnel to enter the warehouse while hatching eggs and day old chicks are deliver directly to the local farms. 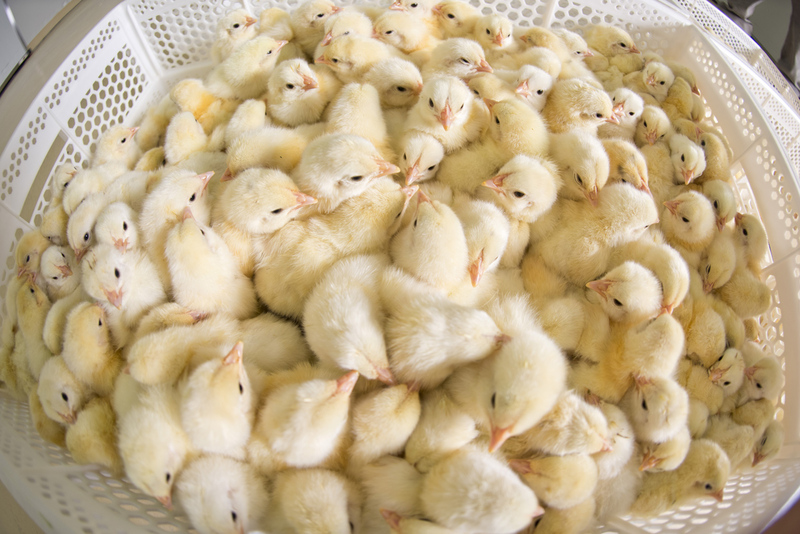 The hatching eggs and day-old chicks production is subject to quality inspectors using swabbing and air testing to identify the absence of pathogens. The laboratory department tests the microbiological profile and grading of the hatching eggs and day-old chicks. After being sorted, the hatching eggs are cleaned to meet ESMA requirements. The hatching eggs are then packed, labelled and then delivered via isolated vans. We use a tracing system so that we can always locate and track our hatching eggs. On the other hand, day-old chicks are vaccinated and delivered via isolated vans to our local farm customers. We use a FIFO system (first in, first out). The warehousing department receives, stores, and delivers products. 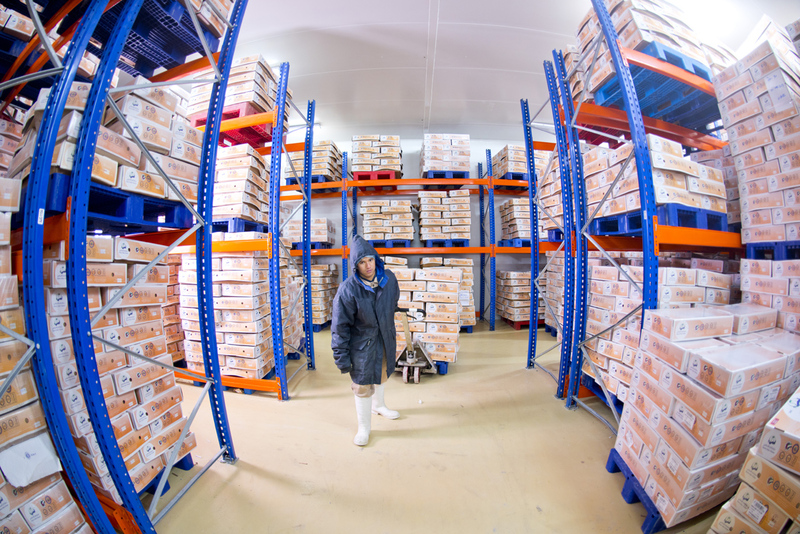 We use a FIFO system and temperature-controlled buildings to confirm that each product is stored correctly. 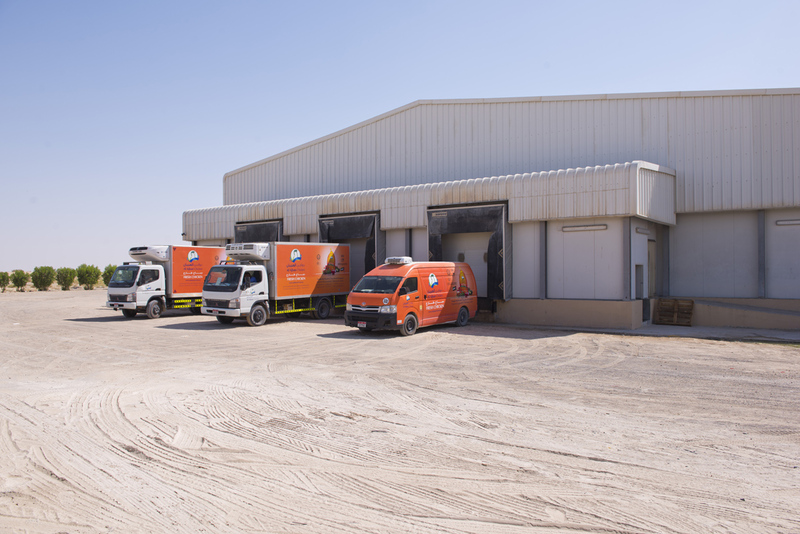 Our products are delivered via isolated chilling or frozen vans to our customers across the UAE. Our vans are equipped with data loggers connected to central computer that evaluate deviations of temperature based on ESMA standards. As the largest poultry production company in the UAE, we serve customers in all UAE territories. We serve fresh, frozen, marinated poultry, hatching eggs and day- old chicks. Our stringent processes make sure our vans are cleaned and disinfected daily and that the temperature is monitored by both the driver and the quality department. Our Laboratory Department uses a variety of ultra-modern techniques, from the molecular to the macro level, throughout the entire production process. We do this to ensure peace of mind from our farms to your fork. The department was launched at the beginning of 2013, making us a pioneer in the field of poultry-diseases-diagnosis in the region. 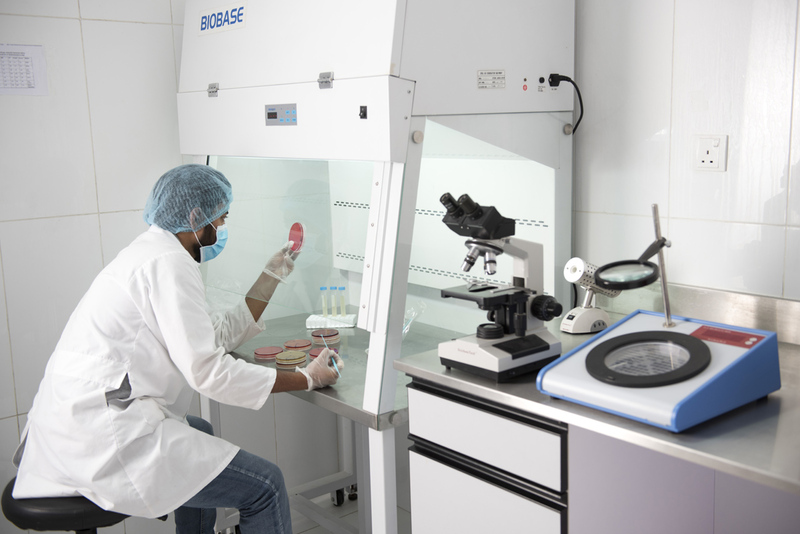 We were the first to create an integrated poultry laboratory in the Middle East. From this lab we conduct hundreds of tests that cover: Bacteriology, Virology, Immunology, Molecular Biology, and Chemistry. These tests are used to monitor animal tissue, blood, DNA samples, food, feed, and the environment. This allows us to detect poultry and human pathogens with high accuracy. By taking such precautionary measures we protect your health and safety. Our centralized management is located in Abu Dhabi at Trojan Holding – Royal Group UAE and ensures high standards of professionalism across all levels of our organization. We believe that the company's growth depends on the growth of every single employee (from the processing plant to top management). The Human Resources team cultivates loyal employees who can meet our goals and objectives. The Auditing team assists with assessing, budgeting, and forecasting sales purchases. The Information Technology team makes sure we have the newest technology and equipment to provide quality poultry. Since our launch in 1981, we have always aimed to provide high-quality and safe poultry products that taste great. We achieve this with the support of our teams (from the farms to our points of sales), who monitor, verify, and test the products. 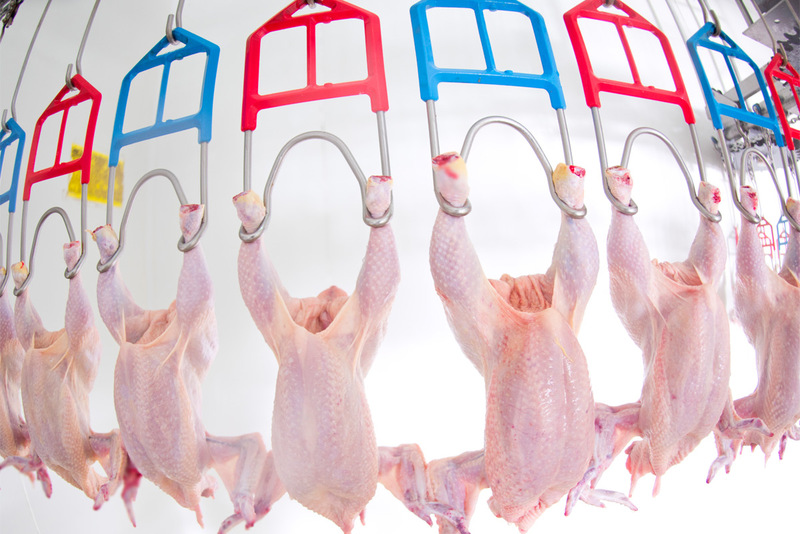 The quality department is accountable for monitoring all control points throughout the production process from the live birds receiving stage, passing by the different broiler transformations phases (in both primary and further processing departments), to the ultimate stages where we get a final product. In addition to the production monitoring tasks, we are responsible for controlling many parameters related to pre requisite programs, including cleaning, cold storage, distribution, and water treatment. The quality and laboratory departments must maintain a high level of coordination, as they form the scientific brain that should work in harmony with many sectors, so that every plan would be perfectly applied, and all data correctly interpreted. In 2014 we became the first UAE poultry company to get the Halal, HACCP & ISO 22000:2005 certification. This is an international food safety standard issued by the International Standardization and Codex Alimentarius. The ISO certification is testament to the exemplary level of quality and safety at Al Ajban Chicken. HACCP & ISO 22000:2005 is an international system for food safety management, created to be applied to the food chain. This system ensures that a product is free from all biological, chemical or physical hazards. 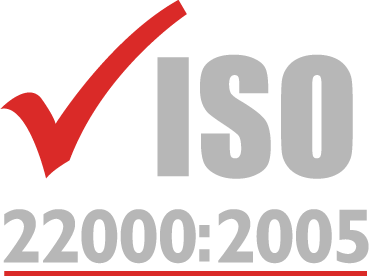 HACCP & ISO 22000 are divided into two principal parts: managerial and practical. The management requirements define the company's food safety policy, required skills, product / document control, food safety team, responsibilities and authorities, the plans for improvement etc. 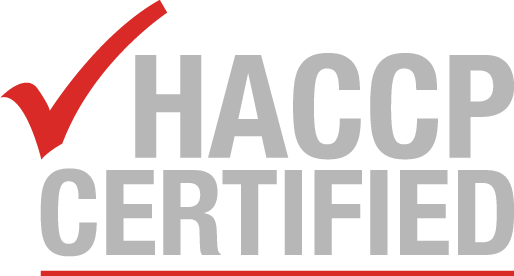 the practical requirements are defined by the HACCP system (Hazard Analysis Critical Control Point) which includes the hazard analysis, the setting of the critical control points, their monitoring, and the corrective actions (if necessary). Al Ajban Chicken's comprehensive "Farm-to-Fork" food safety approach is an industry-leading programme that includes documented and audited practices covering every aspect of live production and processing. This programme is in addition to our strict adherence to all government regulations. We use state-of-the-art chilling systems that preserve the highest levels of hygiene. The clean air chilling technology allows for shorter chilling times and uniform and frost-free chilling.